NEW DELHI: Growing vacancy rates has affected the shopping malls. As per some recent reports the vacancy rate of office space in shopping malls is 30% in Delhi-NCR and 25% in Mumbai. The vacancy rate in shopping malls is increasing now. Across India there are 255 shopping malls. While over one third of these malls are remaining vacant, say the reports. The mall doom has affected not only the Mumbai and Delhi-NCR, but all the top cities. However the rate of vacancy is lower to these two cities. Vacancy rate in Chennai was 10% in the year 2011. Along with the arrival of new shopping malls, this has been doubled and reached 20%. Bangalore and Hyderabad too face vacancy of office space. These two cities experience a vacancy rate between 5 to 10%. 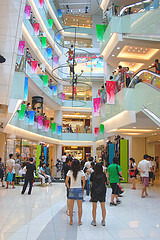 Experts say that the vacancy rate is increasing day by day as there come up many more new malls. With the launch of new malls, the vacancy rate is growing. Are shopping malls loosing their charm? According to the experts there is a mismatch between the demand and the supply. Builders are developing malls without considering the demand factor. The cases of Noida and Gurgaon can be taken as one such instance. In these cities, a good number of shopping malls are built up. Commenting on the issue, Pranav Ansal, vice-chairman of Ansal API, said that built mall space is exceeding the demand. 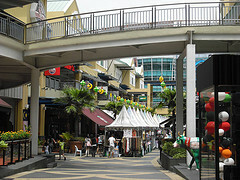 The oversupply of malls gives a chance to the retailers to bargain and gain retail –outlets at lower rentals or rates. Lack of multiplex and food shops is another important aspect. They remain keen to attract the customers. Recent reports show that there are more footfalls in those malls which have better facilities and amenities. Shubhranshu Pani of Jones Lang LaSalle India says that there is demand for shopping malls which provide better amenities and facilities. He added that it is nothing difficult for the good malls to find retailers. This entry was posted in Real Estate News and tagged Mumbai Real Estate, NCR real estate, new shopping malls, office space demand, office space vacancy rates, shopping malls by designer. Bookmark the permalink.